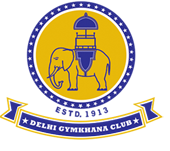 The information contained and transmitted through the Website is proprietary to Delhi Gymkhana Club Ltd. and is intended solely for the members of the club And may contain information that is privileged, confidential or exempt from Disclosure under applicable law. Access to this website and/or attachments by anyone else is unauthorized. If you are not a member of the Club, an agent of a Member or a person responsible for delivering the information to the member of the club, you are notified that any use, distribution, transmission, printing, copying or dissemination of this information in any way or in any manner is strictly prohibited. There is no guarantee that the integrity of this website has been maintained and nor is this site free of viruses, interceptions or interference.